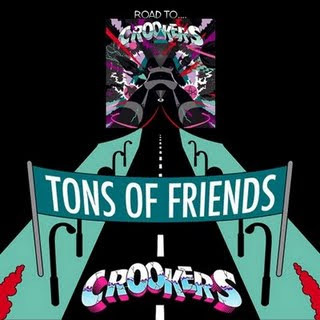 Crookers finally released their long, long, long anticipated new ep “Tons of Friends.” The album is very good, although it represents a new direction for the duo from Italia. It represents a move away from their past work in Electro House into more of an Indie Dance genre. Expect this album to be very popular everywhere, not just dance floors, and watch out for some sick remixes that are sure to drop soon. Here are a few of my favorite tracks off the album. First, my favorite track off the album. Yelle is far and a way my favorite French singer, and her main producer, GrandMarnier, is a good friend of the Crookers duo. So apparently this song was a long time coming. Second, another good track off the album that wasn’t released prior to the full album release: “Natural Born Hustler.” The song starts slow but then speeds up when the chorus drops. Lastly, here’s a track that isn’t actually on the album, but those who pre-ordered the album got a free download of it. It’s more typical Crookers of past years.